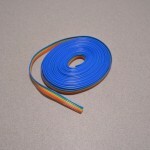 Wire is an essential part of almost any electronic project. 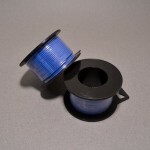 If you are not building the Space Shuttle, small spools of wire like these will probably work quite well. 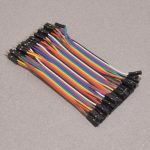 Each spool contains 25’ of Black 22AWG Solid Core Wire meaning you can pick up a bunch of different colors to keep your wiring organized! SKU: WIRE-002. 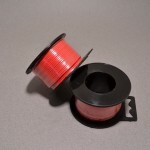 Category: Hookup Wire - Solid Core. Tags: 22 Gauge, Solid Core, Wire.